Headquartered in Fairfax, Virginia, ECS has more than 2,700 employees throughout the U.S. and has been recognized as a Top Workplace by  The Washington Post  for five years in a row. Inspired by the ability to create, innovate, and serve, we build successful customer relationships with some of the world’s leading agencies in both the public and private sectors. ECS is a leading provider of solutions in science, engineering, and advanced technologies including cloud, cybersecurity, artificial intelligence (AI), machine learning (ML), and IT modernization. 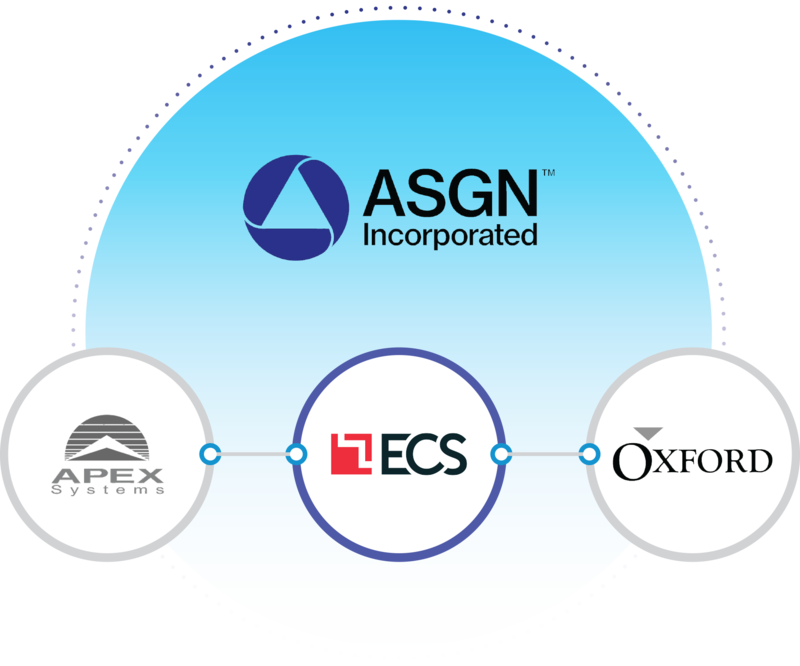 ECS, a segment of ASGN Incorporated (NYSE: ASGN), solves critical, complex challenges for customers across the public and private sectors. Clients working with our sister companies, Apex and Oxford, have access to all ECS solutions with the benefit of easy and expedited contracting. We take pride in serving our military, federal civilian, and commercial clients with a collaborative, customer-first approach to solving critical and complex challenges. Our commitment to quality assurance is backed by an ongoing investment in processes, standards and certifications that ensure excellence. ECS maintains partnerships with leading cloud, cybersecurity, and AI/ML providers and holds specialized certifications in their technologies.